Glow plug relay replaces Lucas HDC101. hdc101 LUCAS. Authorised UK Distributor of Lucas Electrical Parts. cross reference / replaces. 14 sec pre heat. 30 battery positive. 102180m VALEO. Auto Electrical Spares. Ford Sierra All Injection Models (inc Cosworth). Fuel Injection Relay (Original Colour of Relay---Purple). 1987 to 1993. Part No: FPR7997. The introduction of emissions legislation into MOT tests during the following years, made Fuel Parts a popular supplier for this growing market. Fuel Parts Fuel Pump Relay - Part No. Part No: FPR7985. The introduction of emissions legislation into MOT tests during the following years, made Fuel Parts a popular supplier for this growing market. Fuel Parts Fuel Pump Relay - Part No. Part No: FPR7974. The introduction of emissions legislation into MOT tests during the following years, made Fuel Parts a popular supplier for this growing market. Fuel Parts Fuel Pump Relay - Part No. Part No: FPR7998. The introduction of emissions legislation into MOT tests during the following years, made Fuel Parts a popular supplier for this growing market. Fuel Parts Fuel Pump Relay - Part No. Part No: FPR7999. The introduction of emissions legislation into MOT tests during the following years, made Fuel Parts a popular supplier for this growing market. Fuel Parts Fuel Pump Relay - Part No. Below we have one relay Part number 03 447 012. 4.3 Collection of item is subject to section 7.1. If you fail to accept this You will be defaulted to subject to section 7.1. Bankers draft are not accepted. Part No: FPR7990. The introduction of emissions legislation into MOT tests during the following years, made Fuel Parts a popular supplier for this growing market. Fuel Parts Fuel Pump Relay - Part No. Part No: FPR7976. The introduction of emissions legislation into MOT tests during the following years, made Fuel Parts a popular supplier for this growing market. Fuel Parts Fuel Pump Relay - Part No. Part No: FPR9884. The introduction of emissions legislation into MOT tests during the following years, made Fuel Parts a popular supplier for this growing market. Fuel Parts Fuel Pump Relay - Part No. Part No: FPR7988. The introduction of emissions legislation into MOT tests during the following years, made Fuel Parts a popular supplier for this growing market. Fuel Parts Fuel Pump Relay - Part No. Part No: FPR9883. The introduction of emissions legislation into MOT tests during the following years, made Fuel Parts a popular supplier for this growing market. 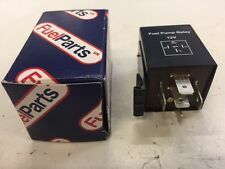 Fuel Parts Fuel Pump Relay - Part No. Part No: FPR9886. The introduction of emissions legislation into MOT tests during the following years, made Fuel Parts a popular supplier for this growing market. Fuel Parts Fuel Pump Relay - Part No. 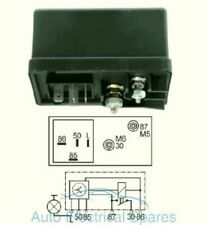 Fuel Parts Glow Plug Relay - Part No. Channel Islands. Get Free Quotes. Scottish Islands. Northern Ireland. The introduction of emissions legislation into MOT tests during the following years, made Fuel Parts a popular supplier for this growing market. Spark Plug Tools. Relay functionFuel Pump. Direct Fit. Part No: GPR7939. Fuel Parts Glow Plug Relay - Part No. The introduction of emissions legislation into MOT tests during the following years, made Fuel Parts a popular supplier for this growing market.